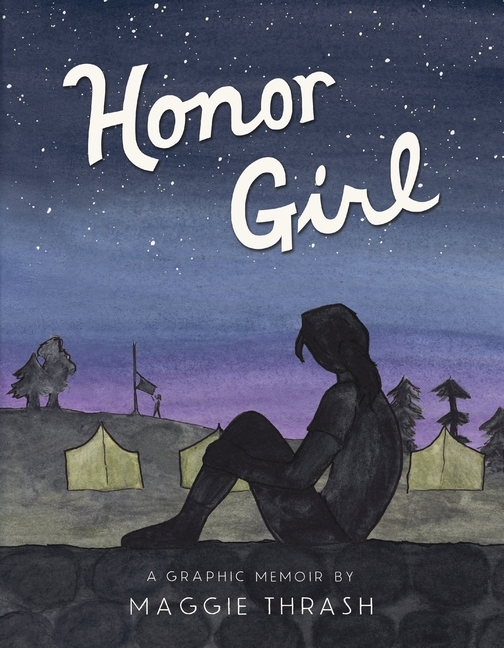 Honor Girl is the story of Rookie writer Maggie Thrash’s first crush in graphic novel form. In the early 1990s, Maggie is a fifteen-year-old pre-debutante summering at Kentucky’s Camp Bellflower for Girls, one of the oldest camps in the South. After mandatory daily Civil War reenactments, girls earn badges for activities like crafts, lacrosse, and canoeing—but the most coveted prize is Honor Girl, the senior camper selected for exhibiting Bellflower’s best. This award isn’t even in Maggie’s periphery: she’s far too busy hiding her adoration for 19-year-old counselor Erin. The best brooding place at Bellflower is the gun range. Through the rifle’s scope, Maggie finds the eye of her emotional maelstrom. She draws fear into focus, squeezing anxiety out with every shot, and becomes an instant sharpshooter, much to the chagrin of crack-shot Libby. This surprise combines with her standing-ovation-worthy performance as Backstreet Boy Kevin Richardson, making Maggie feel invincible. On impulse, she volunteers for an unpopular class where she finally gets to be alone with Erin…and Bethany. A year Maggie’s junior, Bethany is an outcast at camp: a nationally-ranked tennis champ, she’s by far the sportiest, and the lone Quaker to boot. Bethany figures it out in matter of minutes and is totally cool with Maggie’s crush. All it takes is one private conversation under a blanket on the tennis court that night for Libby and company to fuel the rumor that Bethany and Maggie are making out and the two become overnight pariahs. First love’s heady buzz seems doomed one afternoon when lead counselor Tammy catches Maggie and Erin canoodling. She pulls Maggie aside to wield the passive aggressive southern tactic of ignoring the intimate scene, while warning that overreaching on the rifle range is a sign of arrogance Tammy confides in her that assertiveness threatens sisterhood. Co-opting Maggie’s metaphor of a tiger’s survival in the wild, Tammy shames her for competing with Libby It is clear in coded language that girls like Maggie and Erin are predators, and that predators are not welcome at camp. This threat fans Maggie’s flames and her budding relationship heats up just as Libby and company seek her out for malicious retaliation. Honor Girl is story-telling at its best. The artwork and narrative seem simple, but like any good southern yarn, subtle subtext is abundant. At first blush, Honor Girl concerns the agony and ecstasy of first love. Yet the book is also the first-person account of what it was like for Thrash to juggle gender and relationship roles in the 90s, struggle with lesbian invisibility in a heteronormative culture, and explode the stereotype of white southern female purity. More than just a love-struck teen’s story or another classic identity-formation narrative, Thrash makes readers feel what it was like for her as a young southern woman rebelling against the internalized patriarchy enforced by women modeling sisterhood fraught with censorship and assimilation. It isn’t simply that our young protagonist is thrown off by the sudden onslaught of sexual awakening—she must also process this within the confines of a cultural framework that defines her predilections as aberrant threats. Attacked from the top and sides of the camp’s social structure, she is encouraged and rebuffed by an authority figure who waffles between love interest and circumspect friend. 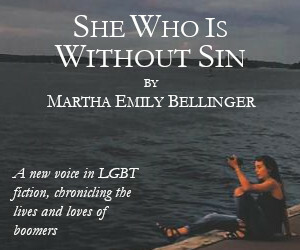 As if a bolt of lightning bequeaths her instantaneous, complete knowledge of a foreign tongue, Thrash’s story is one of shuffling numbly until stuck by the revelation that queer society not only really exists, but that her delight in queer society is what keeps it thriving despite the efforts of those invested in maintaining a heteronormative police-state. Like life, what one might dismiss as breezy, passing, and insignificant in Honor Girl registers as threatening, fraught, and complex to a close reader. This is Thrash’s story about what she does at the first big fork in her life: here is celebration of self, and over there is cotillion. This debut graphic memoir is brilliant. 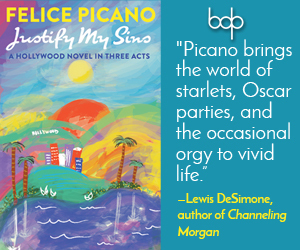 Readers fourteen and up will understand what her teen protagonist grapples with because her treatment of it is so universal in its specificity. Yet no matter how familiar, Maggie Thrash’s Honor Girl will make you want to burn through the pages to see what happens next. And because truth is stranger than fiction and Honor Girl is so well written, you’ll never guess how it ends!